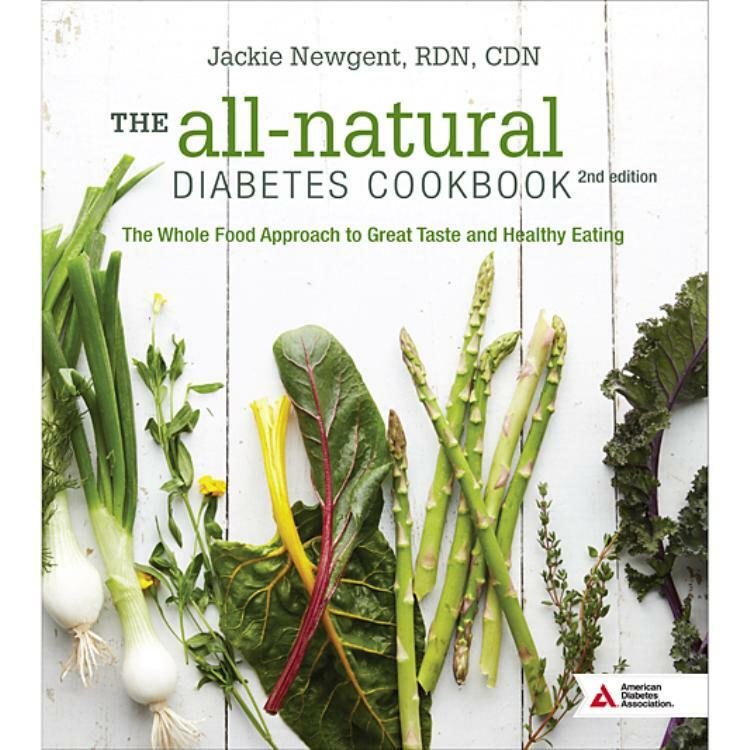 The All-Natural Diabetes Cookbook puts the spotlight on fresh, natural foods and diabetes-friendly cooking methods—for meat-eaters and vegetarians alike. The result is a collection of palate-pleasing meals and snacks—ranging from classic comfort foods to more exotic fare—that are packed with great taste and nutrients rather than preservatives and processed ingredients. Delight your taste buds with over 150 delectable, natural dishes and learn how to lose those artificial ingredients and let amazing flavor shine through. As a registered dietitian nutritionist, I am quite particular about the cookbooks I recommend to my clients and within my work with consumer media. When it comes to diabetes and cooking, Jackie Newgent (who is both a chef and dietitian!) is the number one expert in my eyes. Not only does she make sure recipes easily fit into diets for people with diabetes, she assures that recipes are healthy for all, including those with pre-diabetes, heart health concerns, or simply looking to maintain a healthy weight. The best part for me is that her recipes are absolutely delicious! Jackie’s The All-Natural Diabetes Cookbook, 2nd Edition, is an ideal example of this. Plus, I love that in addition to the recipes, she includes truly valuable tips for achieving high flavor naturally, a diabetes-friendly substitution list, and simple seasonal menus. Eating enjoyable food is a key way for people to stick to a healthful eating plan long-term. And that’s why this cookbook gets my enthusiastic thumbs up!